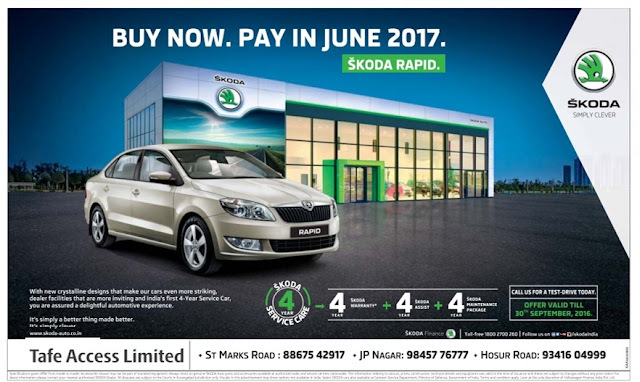 Skoda Rapid - Buy now Pay in June 2017. Get Skoda 4 years service care. September 2016 festival discount offer.